The heavenly smells that come out of the kitchen when making this are incredible. 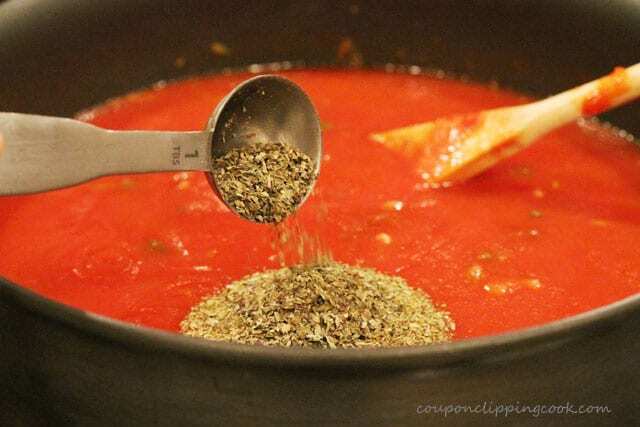 Homemade marinara sauce is quick and easy to make and so worth it because it tastes so darn good. 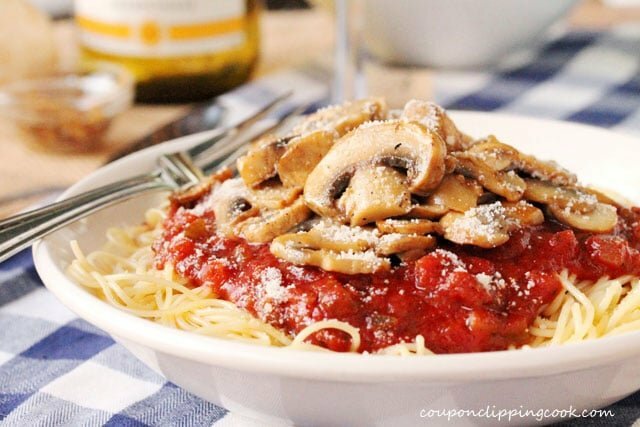 Mushrooms can always be put directly in the marinara sauce but for those who are big fans of mushrooms (like me), this pasta dish is even better when it’s topped with a good portion of sliced mushrooms that are cooked in butter and white wine. 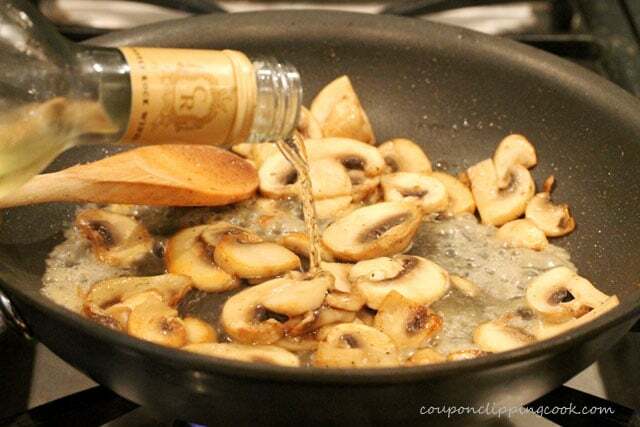 A good choice for wine when cooking the mushrooms is a dry, crisp white wine such as Pinot Grigio, Sauvignon Blanc or Chardonnay (unoaked). Here is a great article with more detail about types of white wine to use in cooking you may like “The Best 5 White Wines for Cooking” from The Kitchn. 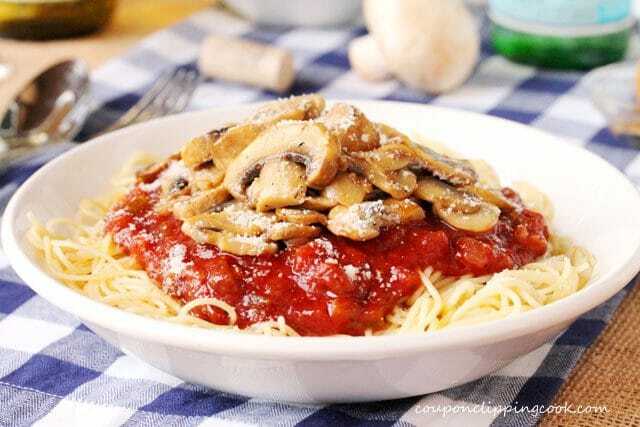 This pasta dish is meatless but you would hardly know it with the mushroom topping which adds a heartiness to the whole dish. 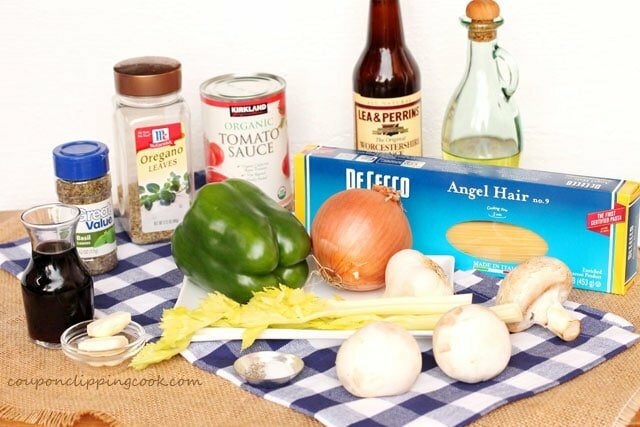 The marinara sauce is also made with wine along with fresh vegetables and herbs. 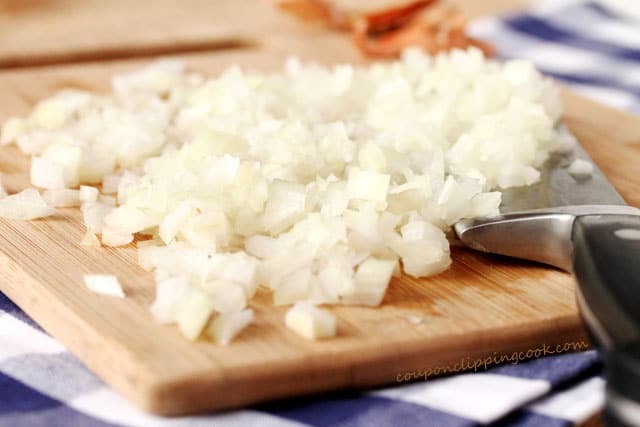 It’s one of my main go-to pasta sauce recipes. 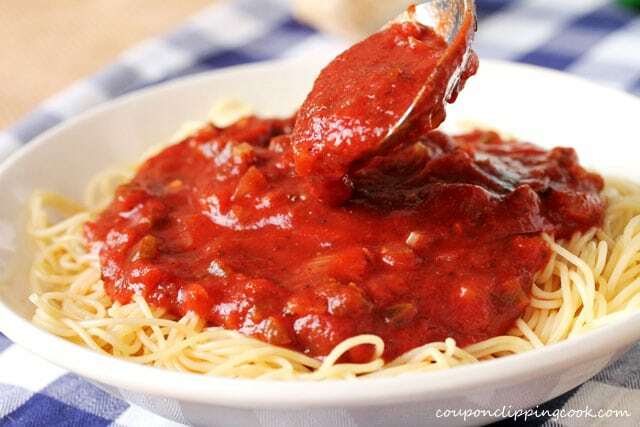 Here’s another one of my go-to marinara sauce recipes “Tangy Marinara Sauce with Angel Hair Pasta“. 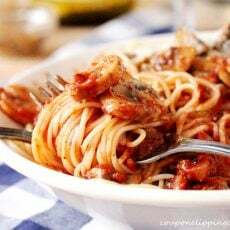 It’s made with a little vinegar which adds such a nice flavor contrast to the sweetness of the tomato sauce. Both versions of marinara sauce freeze up nicely when there’s extra sauce left over. I love it when I have leftover marinara sauce because I freeze it and that means I don’t have to cook a dinner when I use it. Just defrost and warm up the sauce, and boil pasta. 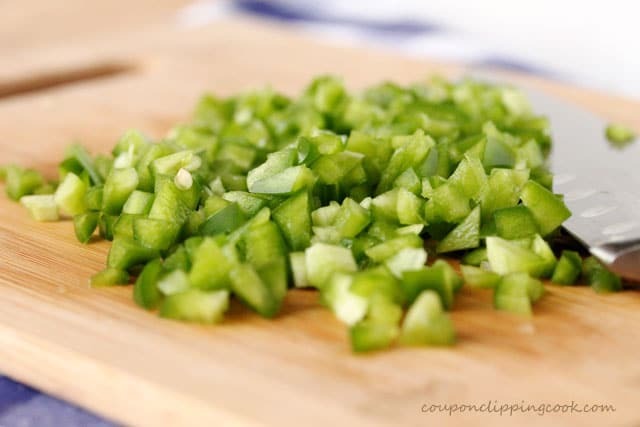 Here are some more recipes that I like to freeze when there are leftovers, Eggplant Supper Soup (literally my favorite homemade soup ever), Ground Turkey Sloppy Joes, Slow Cooker Spicy Ground Turkey Sloppy Joes (all you need are slider rolls or regular size buns), and Spicy Chipotle and Pasilla Chili con Carne. 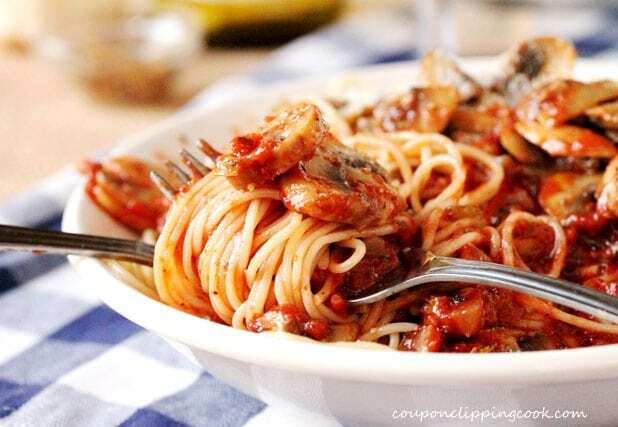 Let’s check out the ingredients for this scrumptious mushroom and marinara pasta meal. Heat a large skillet on medium heat and add the butter. Stir together. 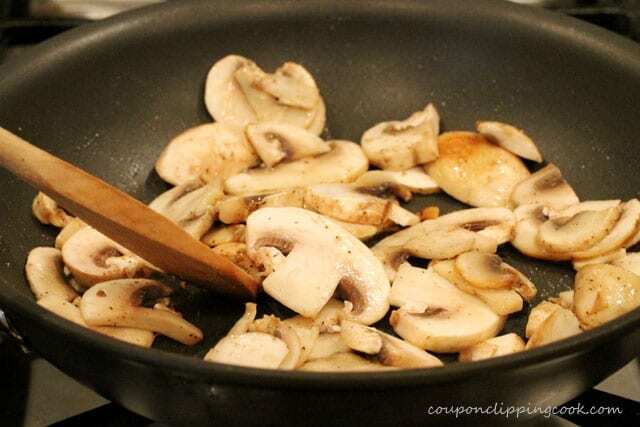 Continue to stir and cook the mushrooms for another 4 minutes. Add wine and stir as the wine reduces. 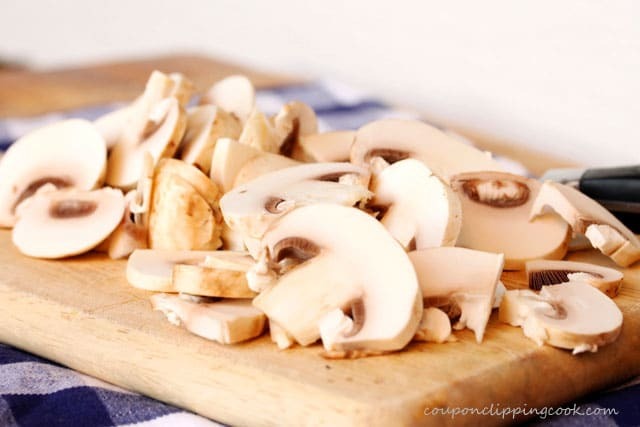 Once the wine has reduced by half, transfer the mushrooms to a bowl and set aside. 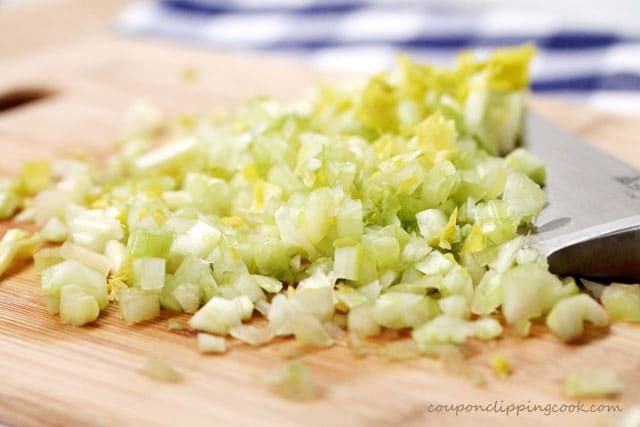 …add olive oil, and the chopped vegetables and garlic. Stir as the vegetable mixture cooks. 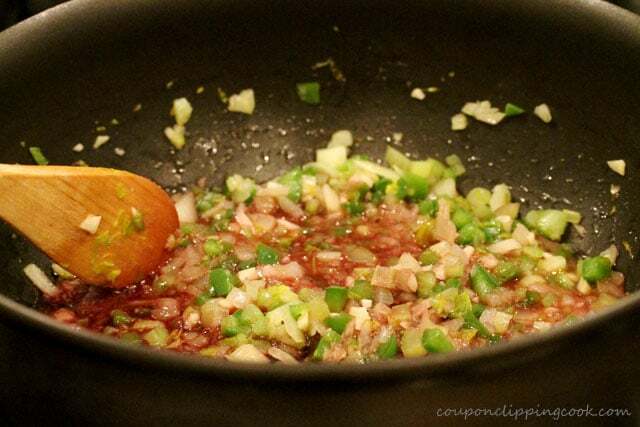 Continue to sauté the vegetables for 8 minutes and then add red or white wine. 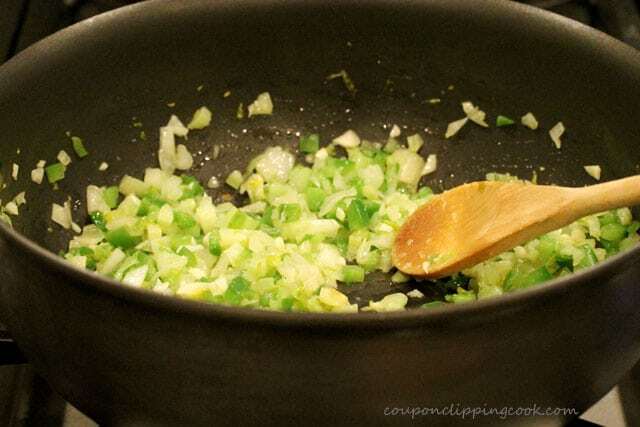 Continue to sauté for another 5 minutes and stir. salt, pepper and Worcestershire sauce. 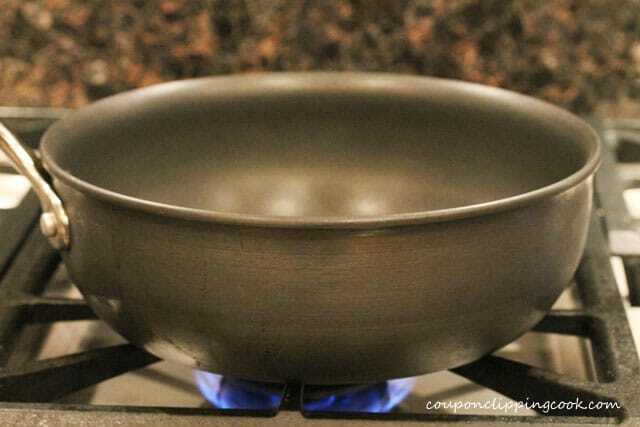 Stir together and turn the heat down to low. 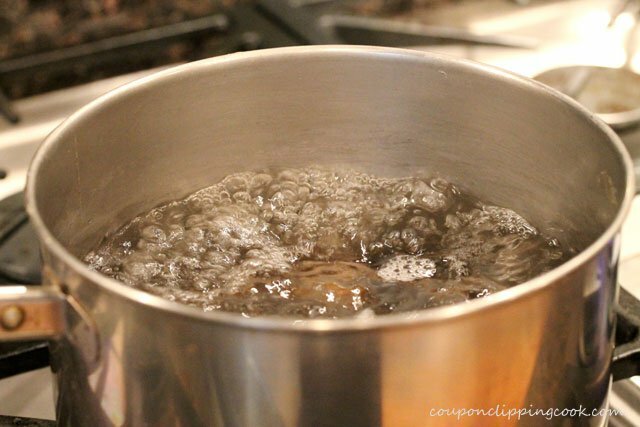 Continue to stir as the sauce simmers for another 20 to 30 minutes. 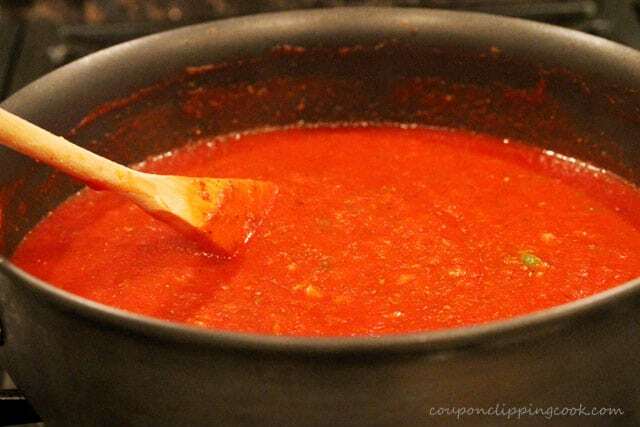 Before serving, transfer a very small bit of sauce to a small bowl and let it cool enough to do a taste test. 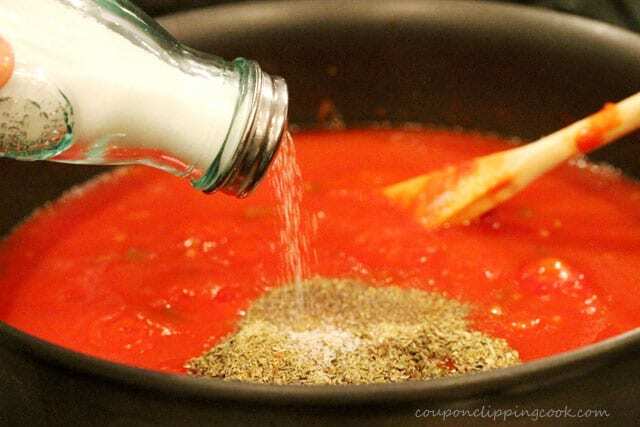 If needed, add more salt. Enough salt really brings the flavors together in this sauce. …cook until al dente (according to the package instructions). Drain the pasta and transfer it to serving dishes. 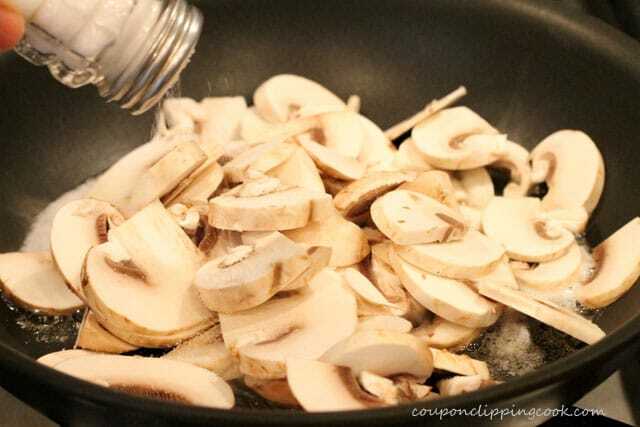 …then top the sauce with cooked mushrooms. 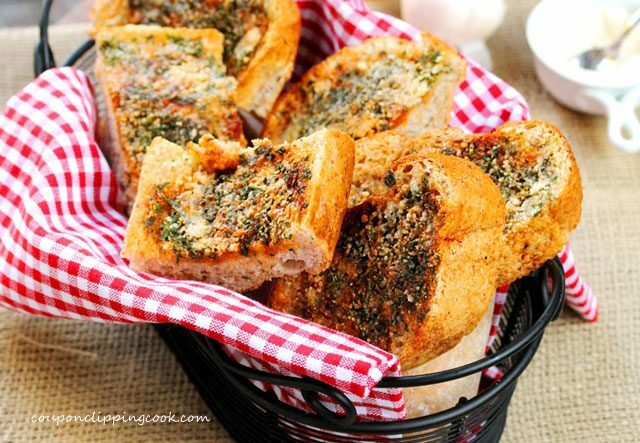 Here’s a super simple recipe for Easy Homemade Garlic Bread. It goes perfectly with this meal. 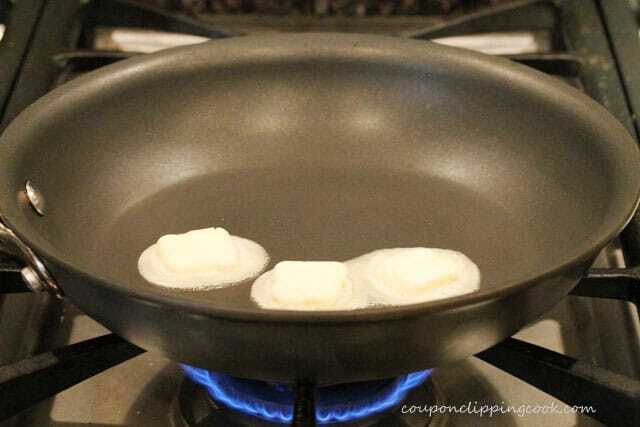 Heat a large skillet on medium heat and add the butter. 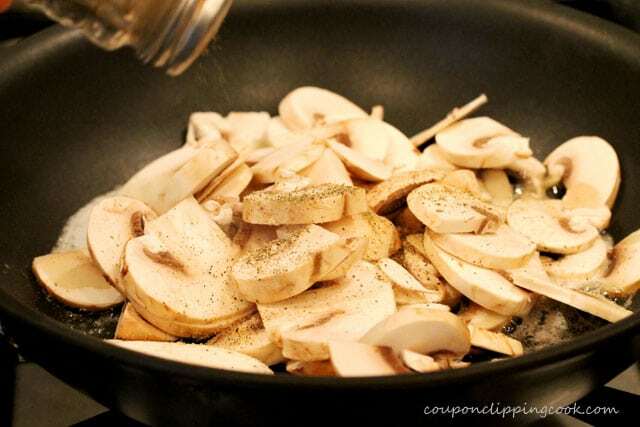 Once the butter is melted add the mushrooms, salt, and pepper. Stir together. 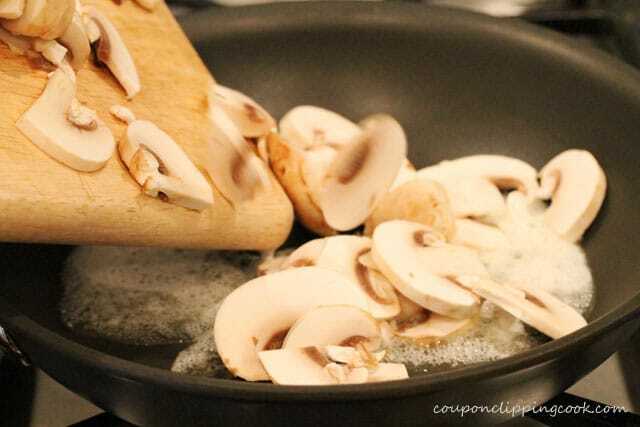 Continue to stir and cook the mushrooms for about another 4 minutes. Add the wine and stir as the wine reduces. Once the wine has reduced by half, transfer the mushrooms to a bowl and set aside. 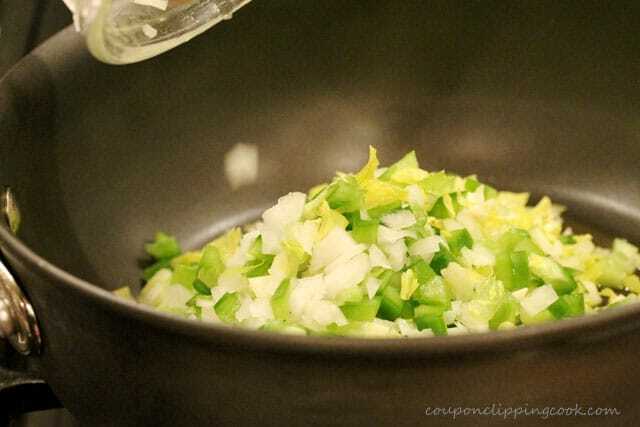 Heat a medium size pot on medium heat and add olive oil, onion, bell pepper, celery and garlic. Stir as the vegetables cook. 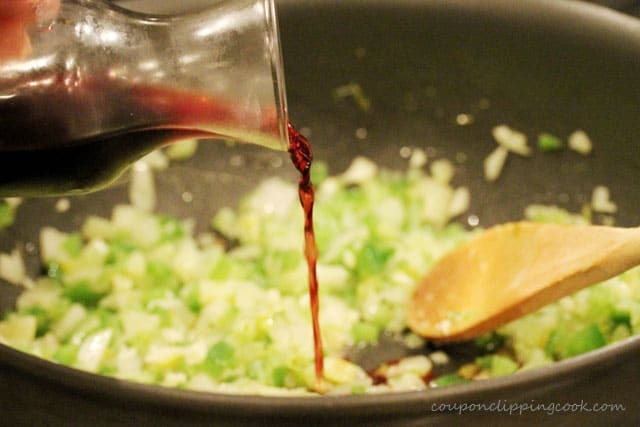 Continue to sauté the vegetables for 8 minutes and then add wine. 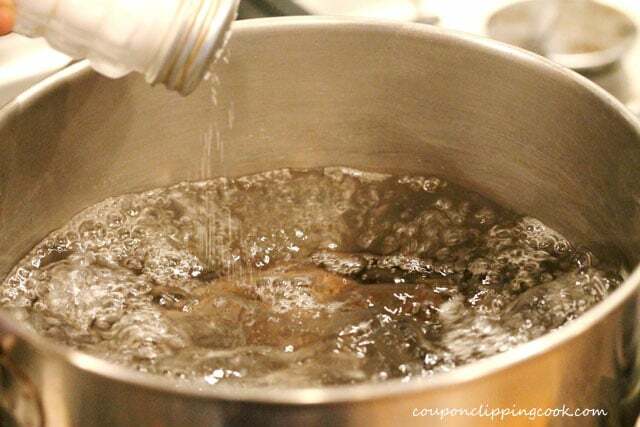 Stir as the mixture cooks for another 5 minutes. 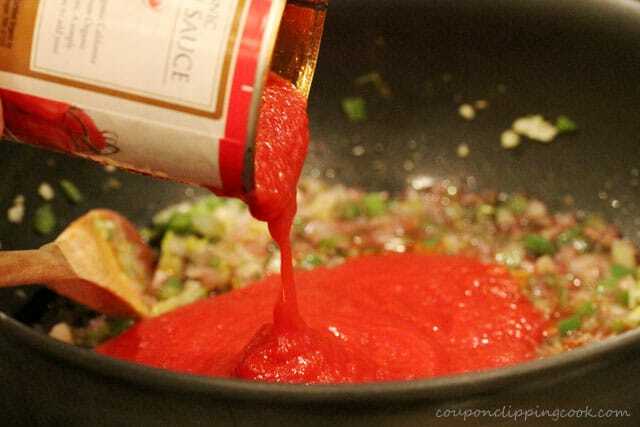 To the pot, add tomato sauce, water, oregano, basil, Worcestershire sauce, salt and pepper. Stir together. Turn the heat down to low. Continue to stir as the sauce simmers for another 20 to 30 minutes. Add the pasta and cook until al dente per package instructions. Drain the pasta (but don't rinse; you want the pasta to keep its starch so it will hold and absorb the sauce). 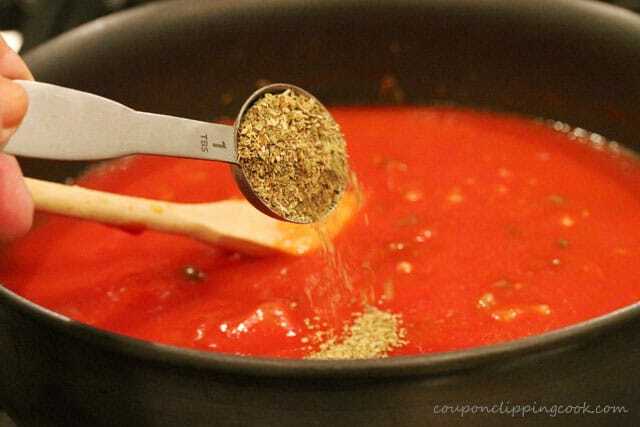 Transfer the pasta to the serving dishes and top with marinara sauce. 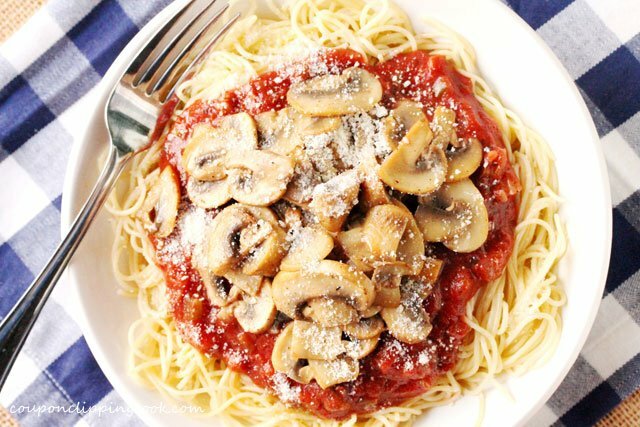 Top the sauce with cooked mushrooms. 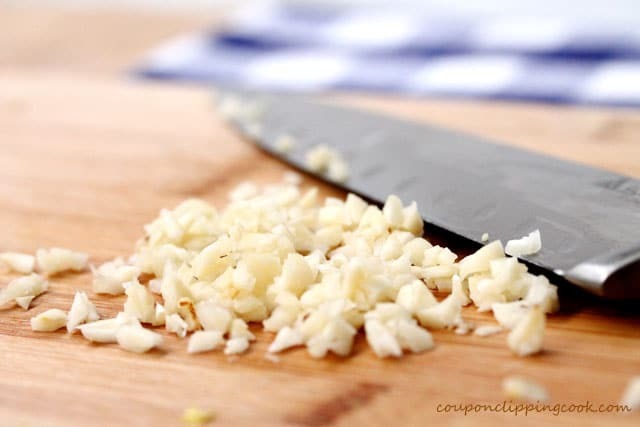 Garnish with grated Parmesan cheese and serve while warm. 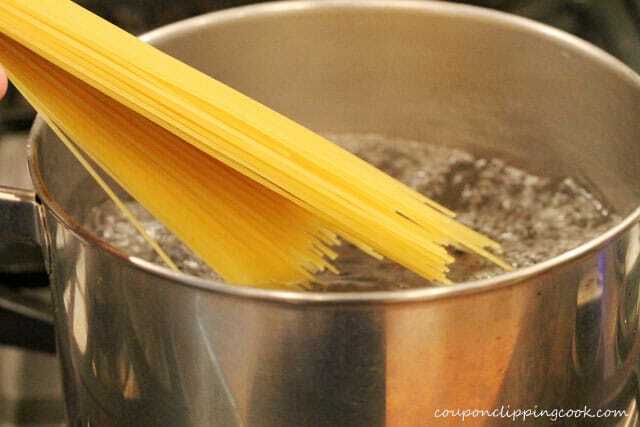 Don't rinse the pasta after cooking it. 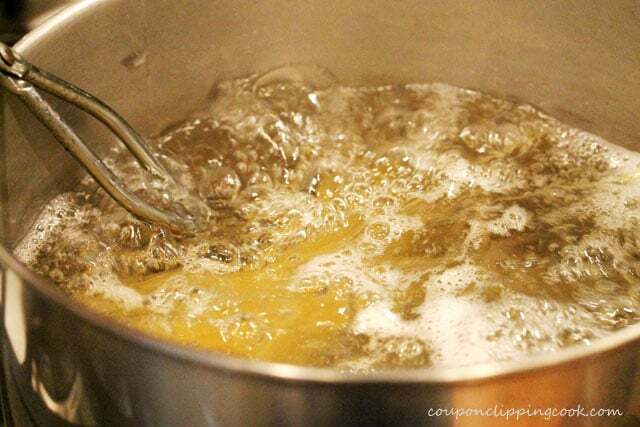 When pasta is rinsed, the starch is removed. 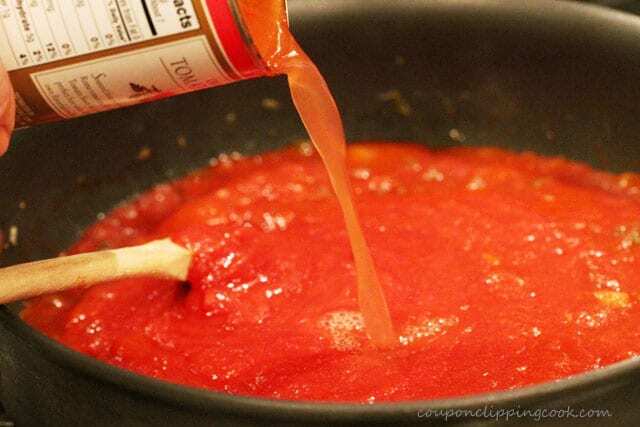 The starch on pasta helps to hold and absorb the sauce so it's important to keep the starch on the pasta. 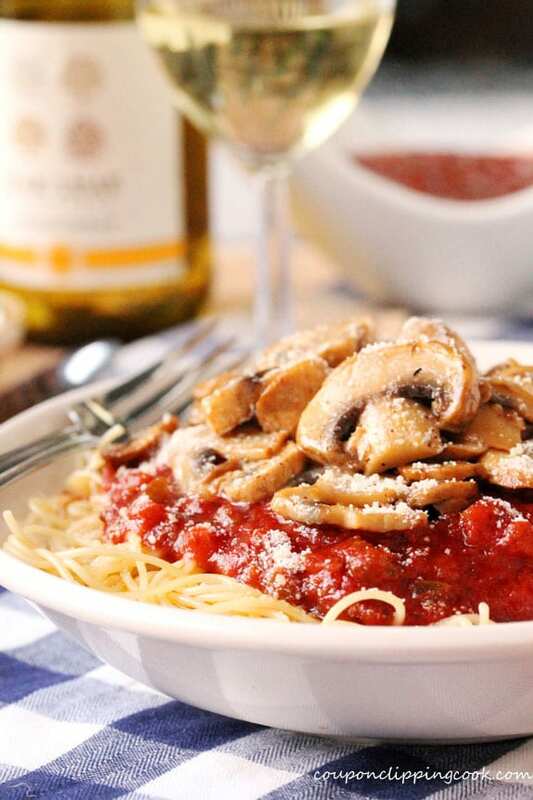 What kind of white wine do you use for the marinara sauce & the mushrooms?